Welcome to a world of superfast, secure and Ad-Free downloads! Your account is yet to be activated. Please click on the confirmation link sent to your email address to activate your account. If you haven’t received a confirmation email yet, click the button below. Disk fragmentation is usually the main cause behind a slow and unstable PC. This is where Smart Defrag comes in. Smart Defrag is an efficient defragmentation utility that organizes your files and folders systematically to improve the performance of your computer. The user-interface is highly intuitive and free-flowing. The main window displays a list of all drives that can be defragmented using Smart Defrag, and also shows their details such as file system, automatic defrag, status, boot time defrag as well as free and total size. In addition, you can carry out defragmentation for specific file or folder. 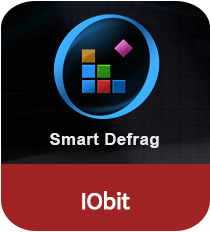 Iobit Smart Defrag not only defrags you system but also deeply optimizes disk performance. The free-flowing and intuitive interface of the defragmentation tool makes it an ideal solution for computer systems. Download Smart Defrag for Windows to organize your system files and folders in order to improve your system’s performance. The utility comes with world’s fastest defragmentation engine and has been especially designed to defrag modern and large system hard drives. Smart Defrag also allows you to schedule defrags in case you don’t want any interference. Moreover, the tool lets you make an exclusion list for the files/folders you don’t wish to be defragmented or analyzed. If you are a gamer, then the system tool is just the right choice for you. Smart Defrag for PC offers a handy tool dubbed Game Defrag that allows you to manually add games so that they can be separately defragged from your system’s storage drive defrag process. Smart Defrag is a lightweight and reliable disk defragmentation tool, which will provide your system hard drives faster file loading as well as exceptionally better disk performance. The tool makes use of average amount of system resources and is intuitive enough to be easily used by not only power users, but also by starters. Smart Defrag’s latest version comes with improved SSD tools. Running these tools will notably improve the access speed of your SSDs. All in all, it is great defragment tool that should be used by every user in order to maintain their PCs. Comment must contain 10-250 characters. Copyright 2018 – SoftwareVilla.com. All rights reserved.